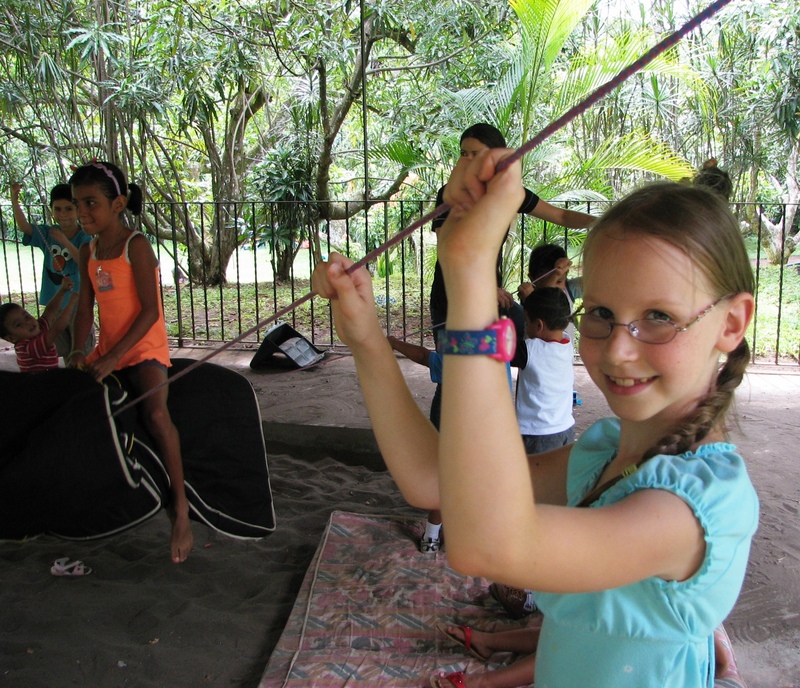 Spanish–one of the heartbeats of Costa Rica. I joke with kids, give instructions, and connect with people, all in a second language. A knack for accents gives me some native flair, but I know grammar goofs aren’t hidden by trilling my r’s. Teams marvel at my conversations with the staff, but they don’t notice my mis-conjugated verbs and mixed up pronouns. Like when I gave the time as 10 o’clock and it was 2, or my tongue twist flubs in front of large groups, mistakes are just part of the landscape when I speak. The other day a little sweetheart ran to me and asked for “ostillas.” You want tortillas? No, ostillas! Puzzled, I found a tía and asked what was up. The wise women spoke Spanish in both grown up and toddler dialects. She burst into laughter, then explained the request was for costillas*. It translates on any menu as ribs, but in kid-lingo means tickles. Tickles, not tortillas. I laughed, too, but was still discouraged. I’ve been practicing for 5 years. Why aren’t I perfect by now? Then I thought about my Spanish when I first arrived. My vocabulary was slim, and my grammar worse. I threw nouns and verbs together and got mishmashed results. It was a miracle that I could communicate anything back then, but I did. People were kind; they were glad I was trying. As time went by, I improved. My sentences started coming together, components working in the right order. I learned how I do, she does, they did, and we didn’t. I practiced that everything has a gender and where it goes in the action of my phrases. Little words make big differences. They are easy to forget, too. I get better, day by day. And that’s the way I am without God. Imperfect. Incomplete. But with him, I am made new. His love offsets my flaws, physical, grammatical, and spiritual. The kids don’t see me for my errors. The tías don’t judge me for all my mess ups. So why should I? God’s love fills in the gaps of my mistakes. His grace covers my subjects, verbs, and pronouns. His joy laughs with me over my blunders. His peace soothes my heart when discouragement comes knocking. He is working in everything, even my Spanish slip-ups. Kris’s note: It’s always fun to write with my girl. She brings the diamond and together we polish it. I am proud of her for pressing into a skill that doesn’t come easy and learning about love in the mishaps. *Case in point: a beautiful Tica just explained to me after reading this, the real word is “cosquillas.” So even now we’ve slipped up, writing about slip-ups. And even grown up Spanish can be misunderstood. Thanks for laughing along with us. How difficult is it to do things you aren’t great at? Have you ever found yourself growing in unexpected ways as you make mistakes? Leave a comment below and share your story with us. In Costa Rica, the care of tile floors is practically an art form. Their love for a shiny, clean surface is evidenced by the amount of time they spend tending to the dirt and dust. For a Costa Rican woman, the state of the floor is a display of their value and hospitality. After all, that is the first thing you see when you enter a house. I have heard of 4-step rituals, and the constant application of clean towel on the end of their mop stick. Once a day is often considered a minimum frequency, and with all that practice, Ticas can accomplish it faster than gringos would think humanly possible. So when I was waiting at the doctor’s office and saw a cleaning lady go in with a broom, I sat up and paid attention. Because, honestly, my floors can use some help. After sweeping, she squirted the floor with some cleanser from a spray bottle, wiped it all down with microfiber mop, and that was that. Granted, this was not an authentic, cultural technique. But it worked. And it was simple enough that I could do it, too, even in the midst of our full-court press on the Spanish language. We inherited a part-gallon of Windex and a microfiber mop when we moved into this house, so all the tools were at hand. It was even a little fun to feel like I was cheating the pail-of-water system. Getting happy floors was the point. I’m coming around to the same realization with my Spanish. Don’t get me wrong, my inner grammarian is looking forward to tackling the 15 rules of the Subjunctive. Every day, we are adding vocabulary. I long for the day when all of my articles and adjectives will match their nouns—which is a perfect sentence for using the 1st rule of Subjunctive, by the way. But my head is better at stocking new information than my mouth is at using it. This week, I packed away the perfectionism and put my emphasis purely on speaking. I made hundreds of mistakes—on things that I already know, too—but I blew my old personal best for spontaneous Spanish out of the water. Following another student’s lead, I wrote my notes for a presentation in English so I couldn’t read it off line-by-line. Then I actually went 15 minutes over without even touching my third page of notes. It wasn’t the musical fluidity I hear all around me, but you know what? It worked anyway. When I was high and, um, not so dry, in a public bathroom last month, Spanish was my only option. The lady in the stall next to me chuckled and passed me a wad of toilet paper even though I put my pronoun in the wrong place. My conversation partner in the cell phone store smiled and corrected me at least a dozen times this week, but he encouraged me that he could always understand what I meant. And isn’t that what it’s all about? As I Google Translate the newest vocab list, study the 3rd Rule of Subjunctive, and plan out a 20-25 minute bible story for the upcoming week, I can feel it. This process is working. I may sound like a 1st grader sometimes, but I sound like a 1st grader in Spanish. God is building this language in us like a cathedral for His glory. Every day we lay more foundation and put up supporting rafters. Over the course of time, we will get to frame the stained glass windows and lay the tile floors. But when we do, I fully intend to clean them via Sweep, Squirt, Mop. Our house in Nebraska sold in October. Hallelujah and Amen. Huge thanks go out to the crew of folks who made that process such a blessing to our family. I learned that laundry washes up much faster when the anemic water line to the machine is fortified with basins-full of water from the nearby sink. The kids and I keep the faster faucet running full speed and make it a water-and-bowl game of leapfrog. A full pound of yeast went into our first two months of homemade bread and rolls. We go through about 6 loaves a week. Low-carb and gluten-free we are not. Bread is sold here, but the limited whole grain options are expensive and not as tasty as what I make. Baking is a labor of love that saves us dinero. We celebrated our 15th Wedding Anniversary. Our unofficial date was a fun trip to the local mall for a bite to eat and a salad spinner. Our official date took us up into the mountains for a romantic meal. That night went down in the “forever” storybook of our family because the speedy/winding cab ride made Kris so carsick she was trembling, the shrimp special was terrible, and the cheesecake we ordered to make up for it was even worse. Our naive belief that cream cheese makes everything good has been lost forever. But now we have something to laugh about for the next 15 years, and we are extra grateful for the salad spinner. Wisdom gained: Homesickness and an extra-large bag of Riesens cannot coexist for long. At the end of our first 90 days, we had to make a visa-renewal trip to Nicaragua. Motion sickness meds and toilet paper are required packing for the 6-8 hour bus ride. And give each person a Ziploc just in case. Trust us on this, we learned the hard way. In spite of the rough passage, the required 72 hours out of Costa Rica were glorious. See the pictures below. Our residency application process is coming along nicely. All of our documents are filed with the government, and we got our fingers inky at the police station. Answering questions and joking with the officers in Spanish was good language practice. We hope all of our visits to government agencies here in the future will go just as smoothly. Less than 2 weeks remain of our first trimester of language school. Brains are bogged down with grammar rules and verb conjugations. Our first family-wide Christmas break will be a huge treat, topped off with a visit from Matt’s parents. They fly in on Christmas Day. Like Santa Claus, but with a frozen ham instead of reindeer. While there is a lot of hard work for us in this season, there is also a great deal of joy. We get to do life and share history with the incredible missionaries learning alongside us. We can crack chistes (jokes) with our teachers in two languages as we study our way from knowledge to fluency. And we can see the doorways opening into cross-cultural relationships and opportunities to expand the kingdom. We are beyond thankful for this season of language learning and the way that the Lord is using it to grow us up into His calling for our family. The rains may come from time to time, but the view from here can be breathtaking. Chairs and hammocks were thoroughly enjoyed by all. The canopy over our cabin was beautiful and the shade was a blessing. Elijah loved rolling in the sand and jumping the waves. Pictures were nowhere near as fun. There was a small army of hermit crabs around the beach. They made wonderful playmates for the kids. Matt helping Ezekiel hold a crab who kept leaping to the ground. A small troop of monkeys passed through the forest by our cabin. This one was less than 15 feet away. These little guys rested just beneath the surface of the sand. As each wave receded, they would unfurl their arms and strain the water for food. One Tia at the children’s home calls him “Guapo.” Can you guess what that means? Always ready to smile for Mom and her camera. Melts my heart. When the tide was out, it was lovely to climb through these rocks to look for shells and see the crabs peeking out of their holes. This guy was the Arnold Schwarzenegger of crabs. The texture of the rocks was beautiful. Matt did his quiet time out on the rocks each morning. His red shirt glowed in the dawn light. When we left the prairie for the mission field, it felt a tiny bit glamorous. People at church were excited for us. The prayer ministry over us was steeped in God’s presence and promises. Friends rallied to take care of our house (and the stuff left in it) before, during, and after the selling process. There were beautiful heart-to-heart moments, touching gifts, encouraging words, and a crowd of our favorite faces waving farewell as we shucked our shoes for the security check in. It made us feel pretty special. However, the warm, fuzzy glow faded the moment we realized we had forgotten all 5 of our valuable-crammed backpacks on a bench outside of the San Jose airport. That miraculous story was the first installment in a season of being humbled. From a two car, comfortable income, “can do pretty much anything we need to and a good deal of what we’d like to” family, we have begun learning to do life again, from scratch. Getting places, for example. Being directionally challenged is tough here where streets are mostly unmarked and lined with wall-to-wall buildings. I rely on Matt everywhere outside of our immediate neighborhood. At this point, I could not get as far as Walmart by myself. Some people might consider that a blessing. I find myself nostalgic over coupons, familiar roads, and my own minivan trunk. Finances are new ground, too. We are in the process of raising monthly support for our ministry here. This means hours of phone calls each week to connect with people and invitations to join our journey. Hours of asking for help with this work that the Lord has given us to do. God has always provided our income, but things felt different when there was a salary-paying PT career on the books. Employers write checks according to wage charts. Missionaries depend on the leading of the Spirit in people’s hearts. This sacrifice on the altar has a name: My Independence. We are saying like John the Baptist, “He must increase, we must decrease.” It isn’t that we are becoming super spiritual down here in the tropical humidity. We are just more aware from this position how much we need Him, and how much we need each of you. And speaking of you all, homesickness is sneaky. It can catch me unaware between present and past tenses. One moment I’m conjugating a verb in class, and the next I’m wrapped in a memory that pulls my heart back to the place we still call “home.” Love has no problem crossing latitude and longitude. We, however, miss real hugs, face to face conversations, and being a part of your lives in a geographical way. 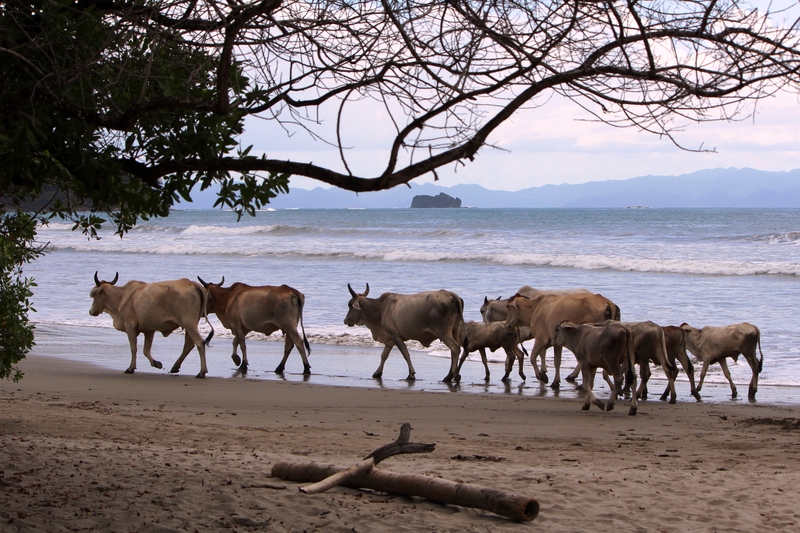 Sometimes we feel as out-of-place as cows on a Nicaraguan beach. But apparently, that’s not as unusual as it sounds. Like David, we are dancing before the Lord. The rhythm is new and our steps can seem undignified. But graceful or otherwise, we know that He loves us. So we let go of our pride again, we release our independence, and take a new hold of His plan to use our family to serve the nations. Sometimes we forget that we haven’t been able to sit down with each of you over Costa Rican coffee and Kris’s cinnamon rolls to flesh out the details of what the Lord is doing with our family. In the absence of a cozy setting and some homemade deliciousness, we would still love to take a moment to share the impact of our ministry here in Costa Rica. In this country where the average person earns $12,800 a year—compared to $50,700 in the U.S.— poverty, substance abuse, broken relationships, and harmful behavior patterns can separate children from their families of origin. Hogar de Vida (the Home of Life) is there to receive them. Little hearts learn to feel safe again as they are cared for in family settings with the love of Jesus. Mission teams come from the States to serve there and experience the Lord in life-changing ways. Our calling is two-fold: to lighten some of the substantial burden of 24/7 care for 35 children and to host the teams that bless the Home of Life physically and spiritually. Everyone knows that raising children costs money. The funding to provide for this family of 35 little ones comes from three sources. 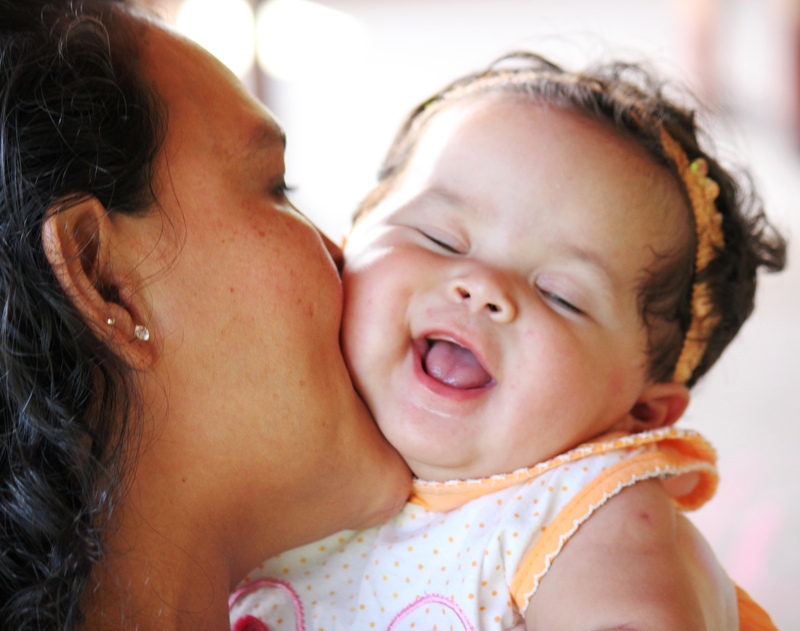 The government of Costa Rica pays for approximately 1/3 of the expenses incurred for the level of care that they require Hogar de Vida to provide. This leaves a considerable gap that must be bridged by charitable contributions. It also explains the shortage in places of refuge for at-risk children. 1/2 of this gap is met through child sponsorships administrated through Children of Promise International. The other 1/2 is met through receiving mission teams from the States. Teams spend their days doing much-needed work around the campus and investing into the lives of the children through bible teaching, hands-on activities, and playtime together. The funds for team room and board also help to feed and care for the bright-eyed youngsters who love to give hugs and share laps during morning devotions. Everyone has a lot of fun in the process. From September 2013 to June 2014 we are flooring the accelerator in language school. To serve at the home fully and host teams well, we have to be able to communicate in the heart language of Hogar de Vida. Pray for us as we take on all 14 verb tenses and the tapestry of connections that weave new vocabulary together. We enjoy the challenge and the hard work, but can use all the divine grace that we can get. There is a big difference between grammar worksheets and fluid conversation. We want to excel at both. Come June, our responsibilities will include scheduling incoming teams, pre-trip communication and groundwork, coordinating the team’s work projects–getting dirty alongside them, too, translating for teaching and prayer ministry, culture shock smoothing, meal planning and preparation, as well as stepping into the flow of what the Lord wants to do with each team in a spiritual capacity. Receiving teams is hard work as well as hard play. 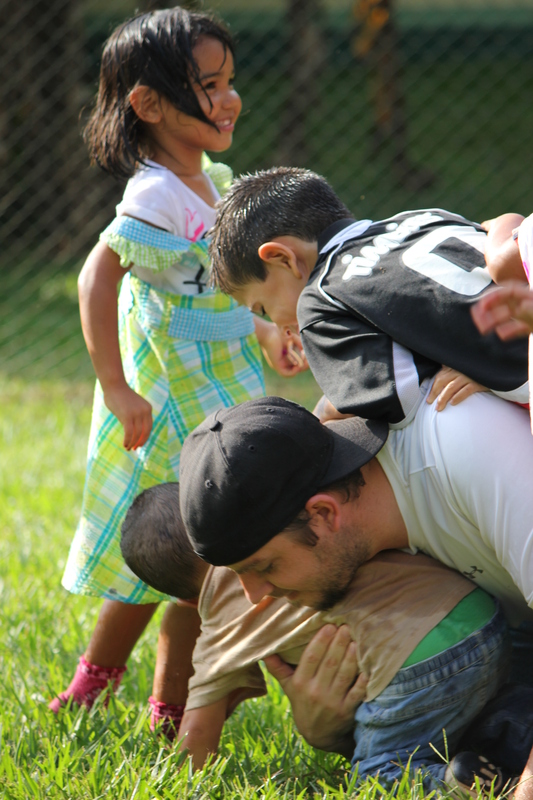 Hogar de Vida has only had the manpower to host a limited number each year. Our family’s help will make a huge difference as we take on much of the effort involved with hosting teams. We will serve the entire Hogar de Vida family in this capacity, and sow into new connections with the awesome folks who come down to serve with us. When people experience for themselves what the Lord is doing in the lives of children and grownups at the Home of Life, they are more likely to become a part of supporting it in a long-term way. We hope to grow the number of teams that can visit each year. God uses short-term trips to change lives on both sides of the border. We are living proof. When we aren’t busy with teams, we will be serving in a multitude of other ways. Matt will be able to use his Physical Therapy background to help with the developmental delays of incoming children and to assist in the medical care and charting required for each child. Frequently, the lifting and physical demands of the job leave the house-moms in need of therapy also. Kris has a heart to improve the communication sent to child sponsors so that they feel connected with the impact of their giving and sustain a long-term relationship with their special little one. And with 35 little ones, the laundry alone is a full-time job. We will do life there, pitching in and working shoulder to shoulder as part of the Home of Life family. And, of course, the 3-E’s will be by our sides, loving, playing, and serving along with us. One of the best parts about this calling is that we all get to do it together. This the work that the Lord has called our family to do. But we cannot do it alone. 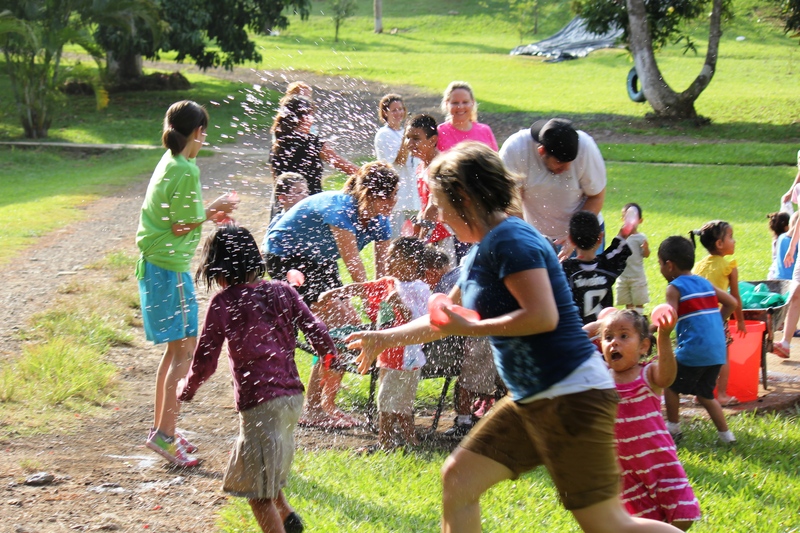 We are the hands and feet of a large team of incredible people who want to invest in the “least of these” in Costa Rica and to pour into divine intersections with North Americans. We would love for you to be a part of it. We are currently 75% funded for our ongoing monthly expenses. That means that we are trusting the Lord for another $1,250 of partnership each month. Your friendship and prayer support are an amazing blessing to our ministry. If you aren’t already on-board, would you please pray about joining our journey through your financial support? You can help us change lives in two nations. Please write “Gnuse Family” on the memo line to designate the funds. You can also make one-time or ongoing contributions online by creating an account with MyLifegate and entering your gift next to our names “Gnuse – Matthew & Kristine” under the General Giving > Global Workers drop down list. Click <here> to get started. All support is tax deductible and gratefully received. Thank you so much for helping us to make a difference to so many of God’s children, little and grown!